Owning a small business has enough challenges. If you're a small business owner, you know the energy it takes just to operate. You're the bookkeeper, the "IT guy", sales, and marketing all wrapped into one person! So how do you get everything done in a day? Fortunately, there are many tools that can make your jobs easier so you can focus on what matters most in your business. We've compiled a list of resources that are mostly free for you to use and ones we recommend to our clients almost daily. Why? Because most of these tools are ones that we use here at Five J Design. After all, we're a small business just like you. 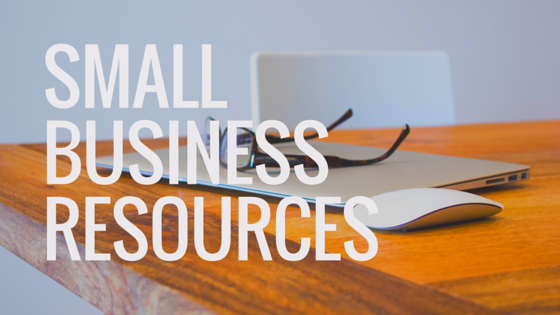 The resources below are here to help you manage your website, share files easily, and just help you get the job done. Period. If you're a small business owner, you're most likely doing a lot of work on-the-go or at home. Accessing files needed for work can be a pain. Fortunately, there's Dropbox. Dropbox Basic is free for the first 2 GB of storage which should be sufficient if you are storing Word Documents, spreadsheets, PDFs, or the occasional large file that you need to share with someone. If you need a little more space, or have a team to collaborate with, you might need the Professional or Business plans that start at $9.99/month. There are even plans for non-profit organizations as well. Dropbox ties in seamlessly with your desktop, tablet, or mobile devices. Simply save files to Dropbox, and you can have access to them whereever you are working. For more information on Dropbox, visit their site here. Canva recently became mainstream within the last year as a powerful design tool to create beautiful graphics. The best part of Canva is that it is completely free as long as you do not need to buy a stock photo or premier templates. Canva is great to use if you need to update graphics on your Facebook page, email newsletters, or change out a simple image on your website. There are also other templates you can use to make flyers, posters, and postcards. Canva is an excellent resource for simple graphics if you don't have access to a graphic designer or design programs such as the Adobe Creative Suite. Check out our graphic design hacks here. Now, there shouldn't be any excuse to use things like WordArt or ClipArt from terrible programs like Publisher! For more information on Canva, check it out by clicking here. Cash flow is essential in any business. Freshbooks makes accounting easy for small businesses. In Freshbooks you can track expenses, create and send paperless invoices, and log time for hourly-based work. Unless you went to school to be an accountant, there's a good chance you really don't like doing the bookkeeping. With Freshbooks, you can setup recurring invoices, capture payments online, or setup automatic payments. Managing your cash flow has never been easier! Freshbooks is a browser-based solution, so there's no need to go out and buy expensive software that may be out-of-date in a year. Start a free trial by clicking here. Google Apps is seriously a life-saver. If there's one thing we recommend before purchasing anything else, it's using Google Apps for Work. With the same power of Gmail, you also receive tons of cloud storage with Google Drive and powerful tools such as Google Docs, Sheets, and Slides. By subscribing to Google Apps, you'll have your very own professional email address (myname@yourcompany.com). Save your @gmail, @outlook, @icloud for your personal email. Google Apps is only $5/month per user or FREE for non-profit organizations. For plans and pricing, click here. Google is known for having powerful tools at absolutely no cost to you. One of those tools is Google Analytics. Google Analytics is a must have for your website. Here you can track unique visitors, record number of page views, and see the source of your site traffic. If you have access to a content management system (CMS), you should be able to install Analytics pretty easily. To setup Google Analytics, click here. Staying top of mind with your customers can be a challenge. MailChimp simplifies this problem through their email marketing service. Entirely web-based, MailChimp requires no software to be downloaded and requires only basic computing skills to operate. Bonus points for MailChimp is that it's entirely free for the first 2,000 contacts. This is plenty of room to grow your customer lists. After that, plans can be upgraded starting at $10/month. Send better email with MailChimp. Being a small business owner is no easy feat, luckily for you there are plenty of resources that have little to no cost associated with using. If you liked these free resources, check out our web grader tool below. Click the link below and our web designers will personally review your site and give a grade based upon site performance, security, and optimization. It's completely free and you'll go away with feedback that you can implement on your site.